Fab explain what is analog summing and takes a deeper look at the Dangerous 2-Bus Summing box specifically. 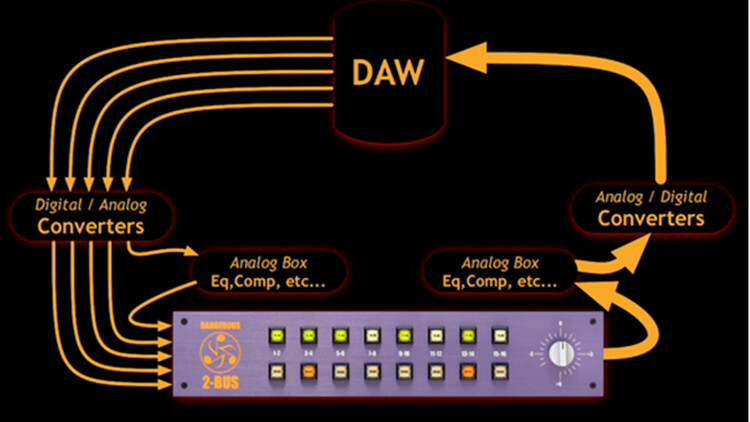 The video makes it easy to understand what a summing mixer is and how to set up your session when you have to send your tracks out to a summing box. If you have been Summing curious lately, this a great way to get into the scene. Hello, I want to know why on some track you doesn't have a pan knob ? Hi Fab Can you do a new video using the new 2bus+ with more details. Mixing any song but only using 2bus+ without any hardware. @albanfurtuna : Sound slike a fun rig. Nothing wrong it. Hello Fab, I bought a Dangerous 2-BUS but am unsure how to implement it. Since many of my sources, say drums for example, and NOT either L, R, or mono, if I run them through the 2-BUS, won't it erase my panned stereo information? Hi Maestro Fab. My system is with Protools HD - RME ADI QS (24 db reference) ,Dangerous 2Bus (+6 swich on) ,ang go thru to NEVE 1073 DPA line in ,avalon 747 ,or DBX 160 SL .Please tell me anything wrong with my setup.Also I have also a FATSO, Manley Elop and a Warm Audio WA76 (1176 style compresor) .Please If you have the opportunity to tell me any way to setup my studio with al l my gear because i dont have experience with analog mixing. Thanks and excuse me for my bad english. 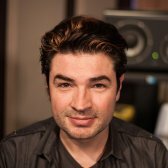 Hi Fab My question about analog summing: if I route my BD, Snare, OH to the 2-Bus, how can I get them to a Drumbus in Cubase? I like to parallel compress my drums in Cubase. Is there a possibility to do that? Thanks! @reymusic: Some people like running their stereo tracks thru the 2BUs just for its sound. I'm not sure how important that would be. It is nice to have the offsett button as a way to hit your mastering chain more or less hard though. Try and it with and without and see the tonal difference. Don;t forget that unity on a 2BUs is with the offset all the way to the right. @scelza|: Yes you do have to be careful. If your interface glows red it's clipping you are probably loosing transients. The 2Bus gives you the ability to use the full range of many converters as opposed to just a apir but you still have to make sure you don;t abuse them. Hi Fab, I picked up a Dangerous 2-Bus a few weeks ago and so far I'm really loving it. It's my first foray into the analog summing world. I'm wondering, do I have to be concerned with how hot my levels are coming out of the DAW into the 2-bus? For example, I have my drums coming out of output 1 & 2 on my HD i/o and I see the red lights on the front of the i/o coming on every once in a while and I'm wondering if it's possible to be clipping the D/A converter on the way out. Thx and keep up the great work. Loving your videos. @reymusic: Assuming you mean CD 'recorder', the question to your answer really depends on whether you like the sound of your Rosetta AD or the sound of your CD recorder AD better. If the difference is meaningless to you then go for whatever is easiest and simplest. Simplicity always wins in the end.